Powerful Weapons to Pass MOCA Boards! 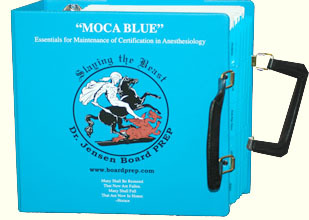 MOCA Blue is Big Blue specially adapted for the Maintenance of Certification in Anesthesiology (MOCA) exam. 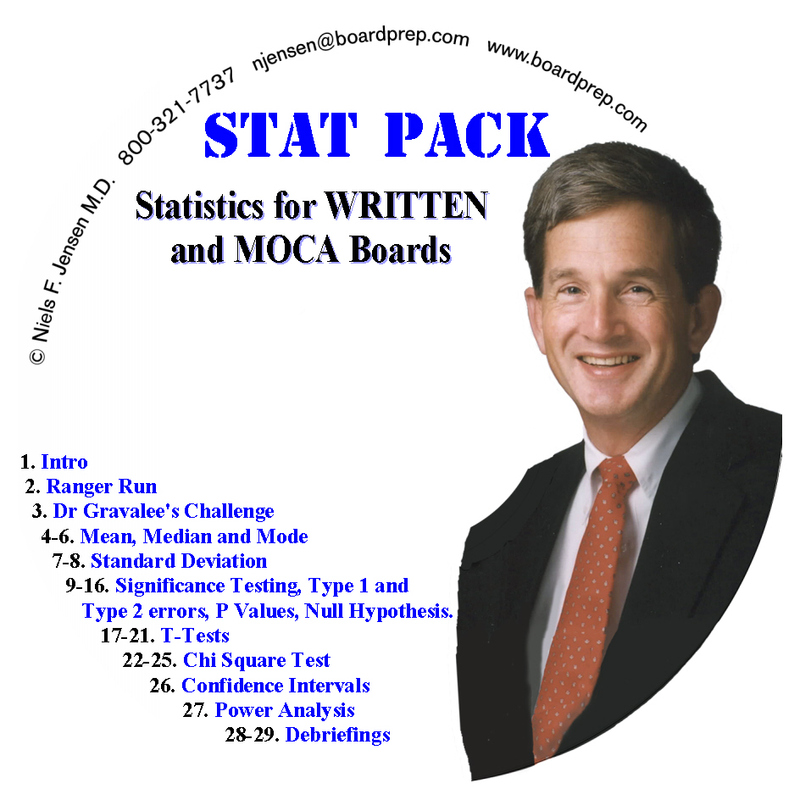 The MOCA exam is a subset of the Written exam and the best window upon it is remembered questions coupled with the MOCA exam keywords released by the Board. Baby MOCA is an adjunct to MOCA Blue. It covers huge territory in terms of essential facts and concepts that recur year after year on the MOCA examination. Easy to carry and use in the form of cards in a small zip-up binder, Baby MOCA may prove vital to your overall strategy for victory. 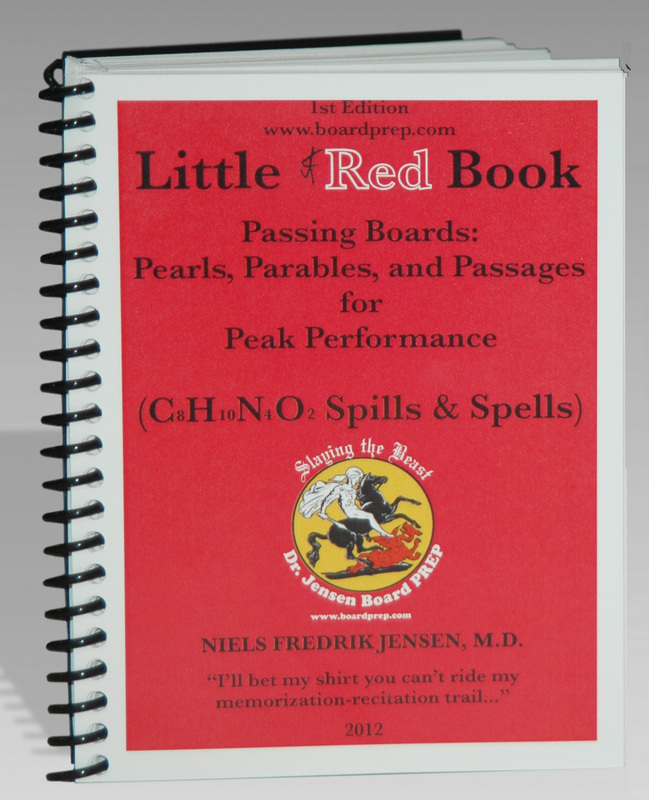 It is especially useful for on-the-go or last minute review. 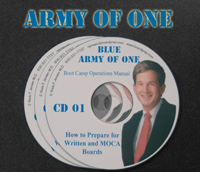 Army of One: Boot Camp Operations Manual: How to Prepare for Written and MOCA Boards 12 CDs with accompanying text of insights, Lock'n'Loads and keywords covered primarily directed at HOW to prepare.